July 19, 2018 /0 Comments/in For Students /by Anja Z. As we have written before, there are plenty of proven benefits to mindfulness – that state of active consciousness and open attention, reached through the process of meditation – especially for students and learners. 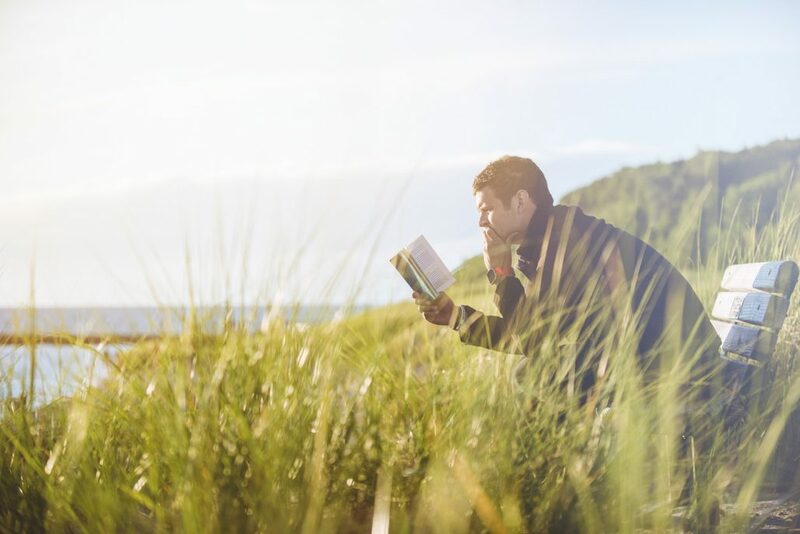 Not only can meditation and meditative thinking help with stress reduction, but practicing being in the moment can greatly improve focus and productivity. However, mindfulness is not just meditation – it’s a process to reach a state of present mind through an entire mindset that can include meditation, breathing practices, mind exercises, and habit-releasers (everyday tasks “meant to reveal and break open some of our most unaware life patterns of thought and behaviour” ). Because of this complexity, you should not expect instant benefits from just a few mindfulness practices. In their book Mindfulness: A Practical Guide to Finding Peace in a Frantic World, Danny Penman and Mark Williams suggest an eight-week program through which you change your day-to-day life and thoughts gradually over a course of two months for best mindfulness effect. However, if this seems too much for you, if you’re not really sure it can help you, or you need an “instant fix” because your exams are almost upon you, we’ve chosen a few practices that will help you during studying itself. These small exercises, meditations, and habit-releasers are meant to improve focus, stop negative thoughts that interrupt your work, and help you stay in the moment, consciously going through the study material. So, who knows – after these, maybe you’ll be convinced that the eight-week program is worth it! We all have those moments when we can’t seem to concentrate and our study progress seems minimal. The usual reaction is to get frustrated and get caught in a thought loop – being frustrated by lack of productivity, then being frustrated because we’re frustrated by it, therefore wasting more time and…. well, you get the point. That’s why the point of this exercise is to let go of that anger and frustration and gain control over your emotions simply by realizing they are there and that they are normal. If you rationalize your emotions, chances are they aren’t going to stand in your way that much while studying, so you can concentrate better on the mental process. What is going through my mind? What sensations are there in my body? What emotional reactions and impulses am I aware of? Then, try to allow frustration to be present without trying to make it go away. Stand tall. Breathe. Allow yourself to feel. Accept that this, too, is a moment in your life. You might not instantly stop being frustrated, but the point of mindfulness is not to ignore unpleasant feelings, rather to accept them. This way, you can stop obsessing over trying to change them and focus more on why you’re feeling that way, and getting on with the task at hand. If you find your body restless and fidgety, showing signs of nervousness (twitching, legs jumping, heart racing…) it might be an indication that your mind’s stress is showing up physically and you need to concentrate on calming the body-brain connection. With these few tricks you can focus on your physical processes, soothe your nervousness, and prepare your body for studying, by connecting it fully to the brain and mind processes, while being in the best possible physical position for concentrating. There’s no point in continuing to study while you’re not focused, so take a short break. Before you say that you have no time for breaks, think if it’s more beneficial to do unproductive work and waste time, or to take a short 15-minute break, and then continue working with full focus. The first thing you can do is “ground” yourself. This means doing a meditation that is designed to settle your body as well as your brain. One useful method is body-scan meditation, which pays attention to all the parts of your body, relaxing them and learning to let go. If your body relaxes, you’ll be in better posture to study and focus, relaxing your brain as well. You can also try grounding yourself by changing your position to a more meditative one. Perhaps you can try moving into a yoga position and doing a short breathing exercise. Sit on the floor with your legs in front of you, and then, slowly, move your right foot to the left thigh. Do the same with the left foot. Try to move your feet as close to the base of the thighs as you can and do everything very slowly, thinking about each move . When you’re in this posture, breathe slowly and focus on movements of the body. If it’s comfortable, you can even try reading in this position. The second thing you can do is go for a meditative walk, lasting somewhere between fifteen and thirty minutes. You don’t have to go anywhere special, just walk around your neighborhood, paying extra attention to details you haven’t noticed before – small things, like the birds or leaves on the trees. The walk doesn’t even have to take place in nature – you can go out in the city to walk and just look up at the facades of the buildings you’ve never noticed before. The point is to be mindful of your surroundings, to focus on details and to see new things, or even familiar ones in a different light. Stop by that tree you always pass by and think about its texture, its colors and its scent. Are there any birds in it? Inwardly name every color you see on it, touch the texture of the wood and tell yourself how it feels. While you’re walking, pay attention to your whole body – how it moves whenever you take a step, what muscles do the work, and which stay still, what sensations you feel, how the floor feels, what your legs do, etc. This whole exercise will help you move your muscles while walking, but also transfer your focus onto your surroundings and away from your physical nervousness. The huge thing is that it is also good for practicing focus, so once you’re back at your books, you might notice that you look at the information in front of you in a new light. Finally, doing a simple yoga routine can also help. There are plenty of videos with practices online, so you can try them out. Don’t be too harsh with yourself and accept your limits. Take a break if things are not working and exercise your focus whenever you can. The key to meditation as well as the whole mindfulness program is not “not thinking” – it is simply being aware of your thoughts and channeling them properly. Guided meditation says that if you notice your thoughts flying away, don’t scold yourself; that is what minds do. Penman, D. and Williams, M. 2011. Mindfulness: An Eight-Week Plan for Finding Peace in a Frantic World. Pennsylvania: Rodale Books. Wills, P. and Gimbel, T. 1992. 16 Steps to Health and Energy: A Program of Color and Visual Meditation, Movement and Chakra Balance. Minnesota: Llewellyn Publications. Jon Kabat-Zinn. 2005. Wherever You Go, There You Are. New York: Hachette Book. If you need any kind of advice related to focus and studying, you’ve come to the right place!